Generators and Data Communication Equipment since 1994. 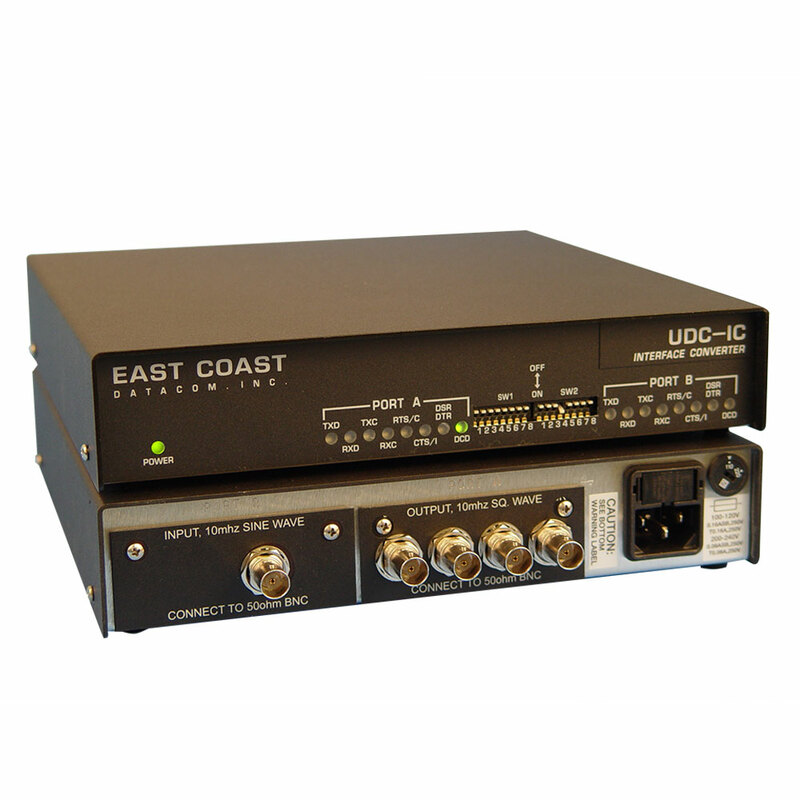 East Coast Datacom, Inc. is a customer oriented, high technology enterprise which was formed in 1994 to design, manufacture and support Data Communication and WAN Delay Emulators. 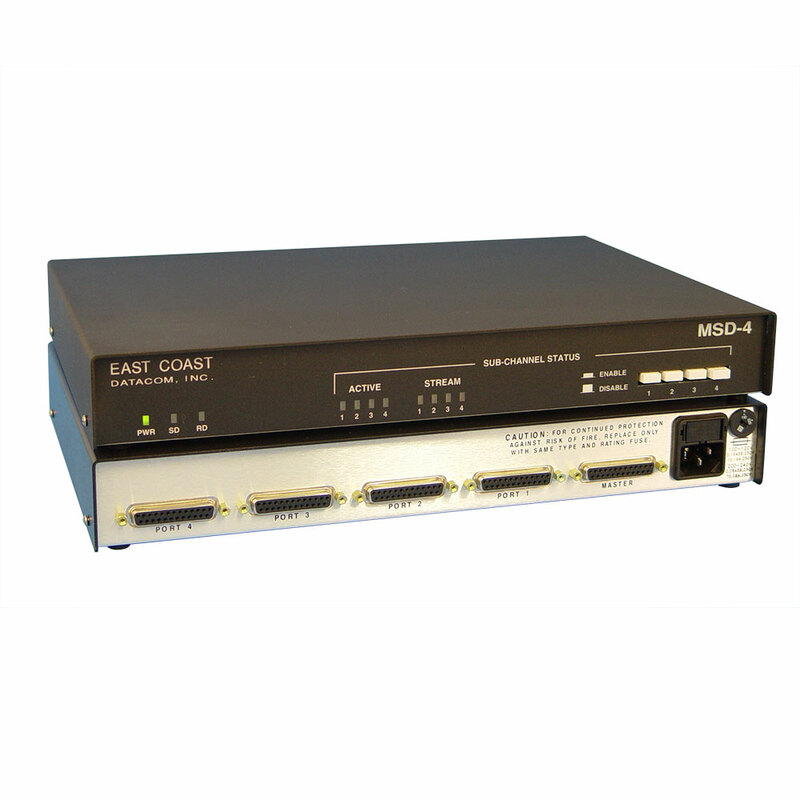 We manufacture one of the broadest line of Network Latency Emulators in the network test equipment market. 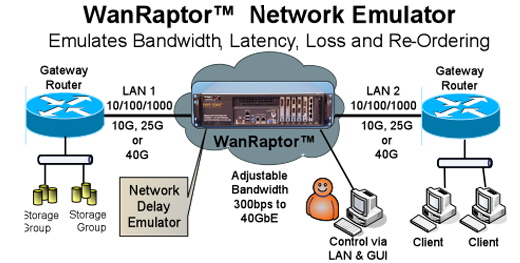 Our WanRaptor™ Network Emulator supports 1/10/25 and 40GbE is a single economical enclosure. 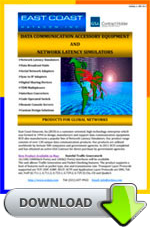 The WanRaptor™ Network Latency Emulator allows users to test and stage critical network equipment adding network latency and network impairments. The WanRaptor™ is an excellent choice for emulating wide area network delays, satellite delay emulation, stress testing network software development, conversion of legacy serial networks to IP Networks and new technologies such as MPLS latency testing prior to deployment. 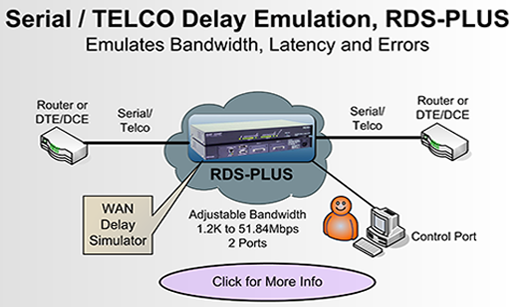 The United States Military and leading Defense companies rely on the RDS-PLUS delay simulator as a modular, network link error and delay emulator that provides a realistic simulation of physical network behavior with respect to time delays and bit errors. 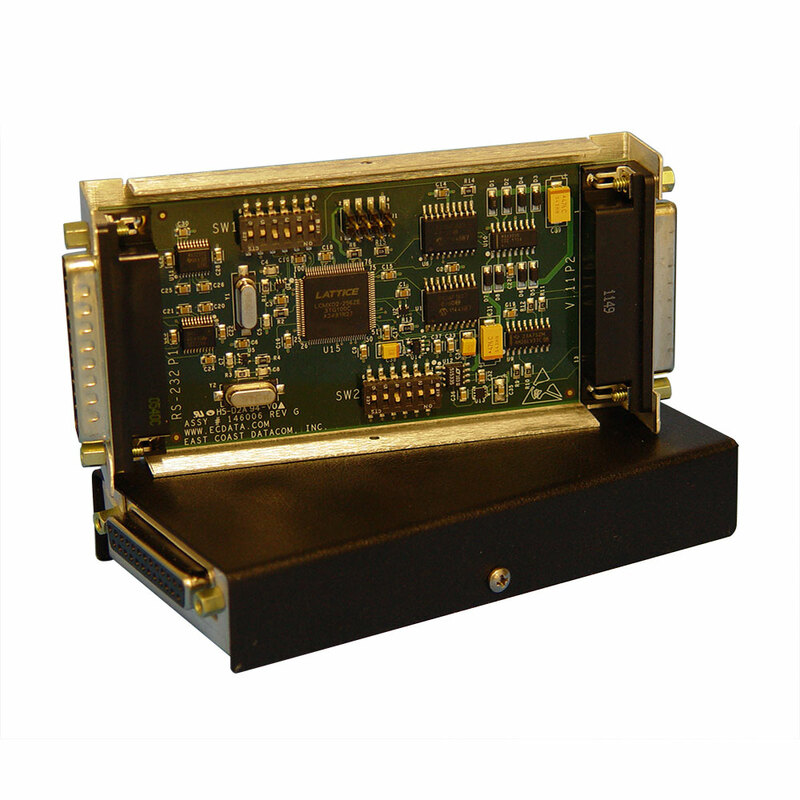 The RDS-PLUS supports a wide range of serial interface types and speeds, ranging from 1200bps to over 50Mbps. 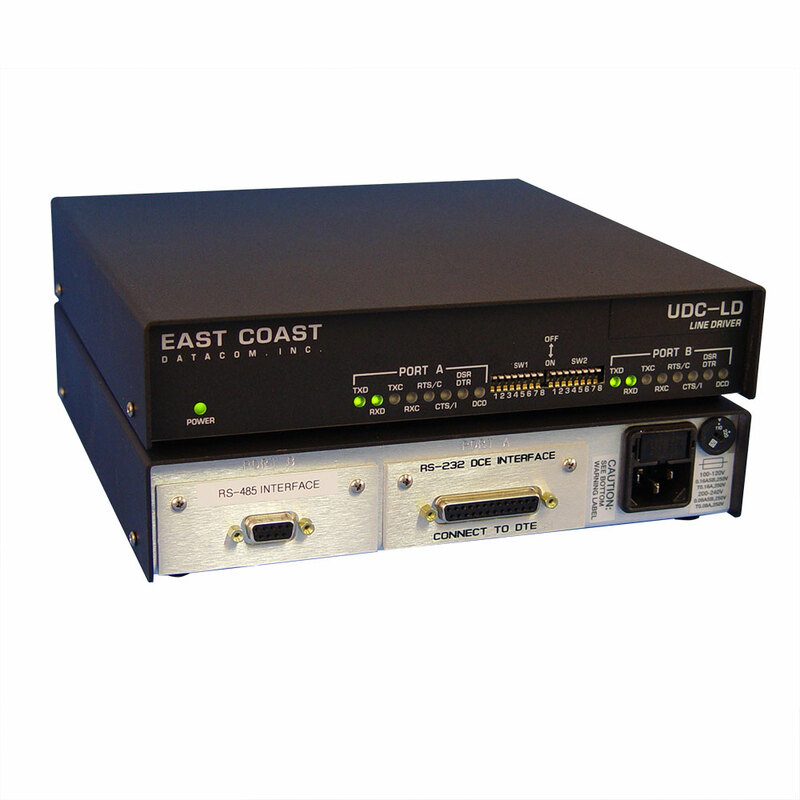 The unit also supports TELCO Line Simulation such as T1, E1, DS3, STS-1, HSSI and EIA-644 LVDS for high speed CRYPTO network delays. 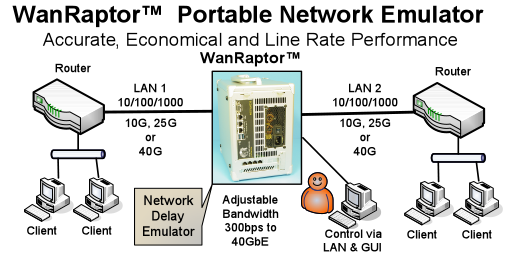 Network stress testing is equally important prior to network deployment and the ECD STG-10G Stateful Traffic Generator® may be utilized with the Network Delay Emulator. 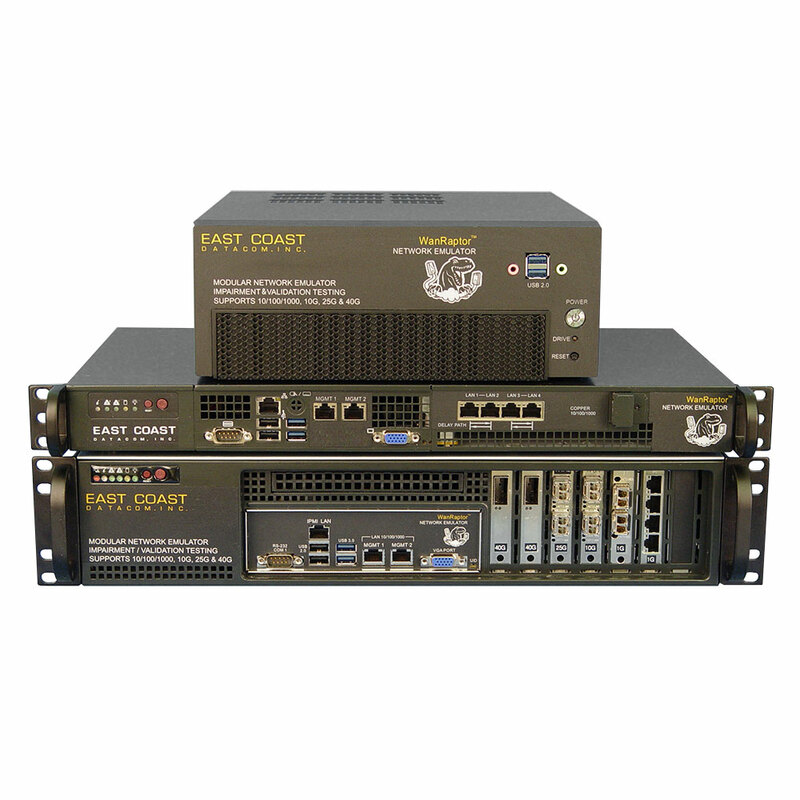 The STG-10G is capable of producing IPv4 and IPv6 traffic by accurately replicating the workload of current Internet or typical user applications. The platform supports 8-Ports 10/100/1000 and 2-Ports of 10GbE traffic generation managed via the easy to use GUI. 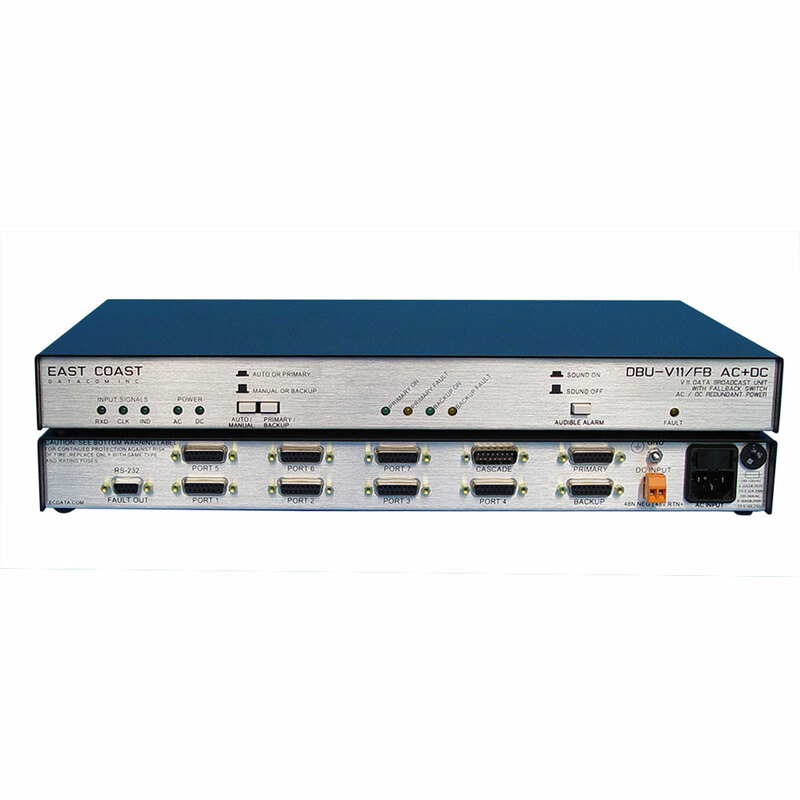 Our growing product range consists of over 130 unique products that include WAN Delay Emulators, IP Traffic Generators, Data Broadcast Units, Digital Sharing Devices, Interface Converters, Modem Eliminators, Serial Adapters for Async to Sync, Sync to IP Converters, FIFO Buffers and A/B Switches for legacy networks. 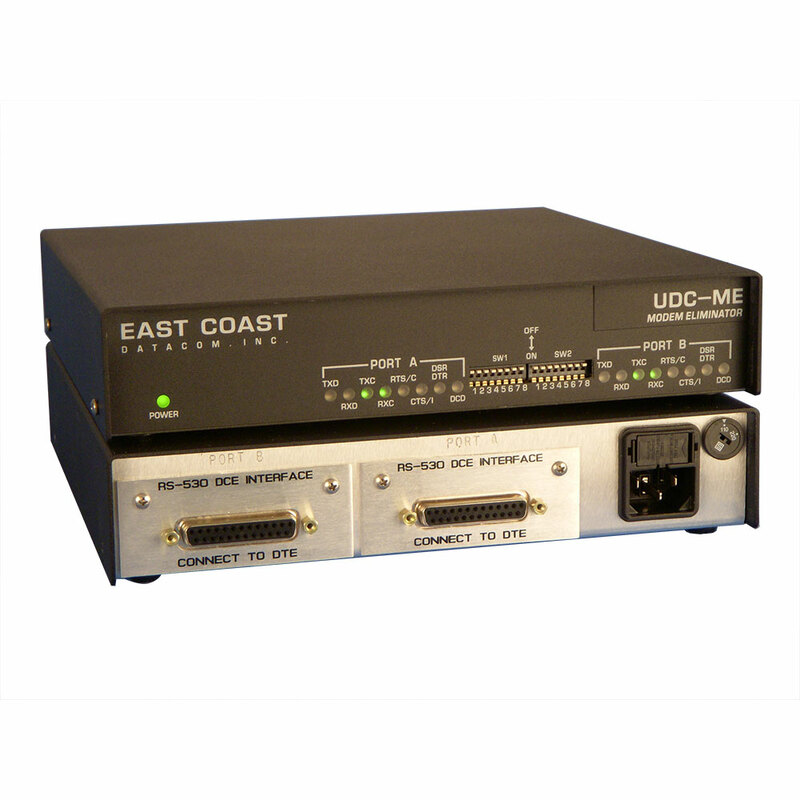 In 2016 East Coast Datacom, Inc. completed a 5-Year extension of our GSA Contract for direct purchase by government agencies. 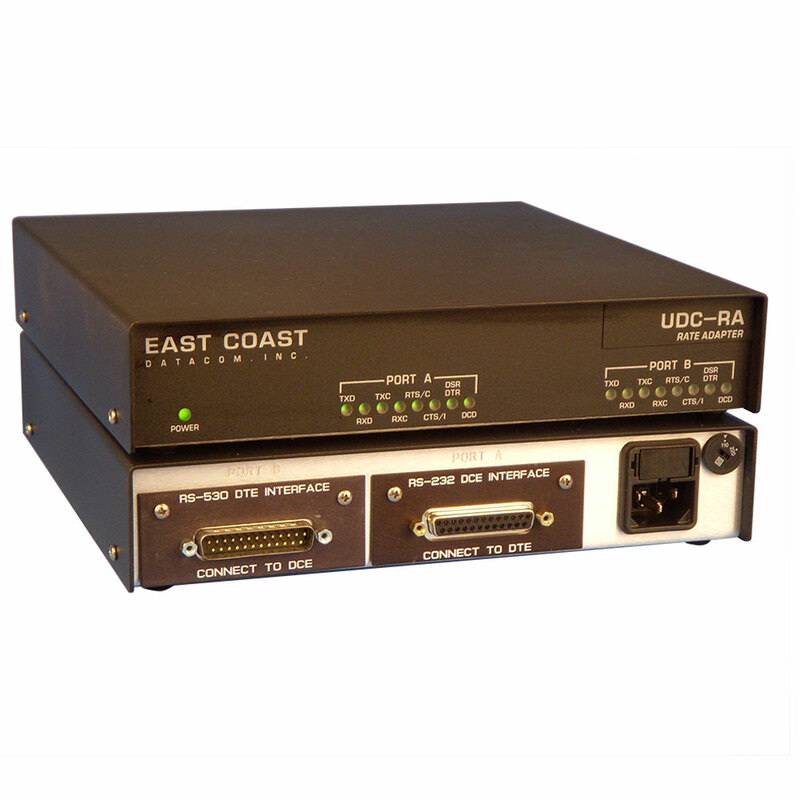 The GSA Advantage allows government agencies to take advantage of direct purchasing with East Coast Datacom, Inc. at a substantial discount coupled with a 3-year warranty.